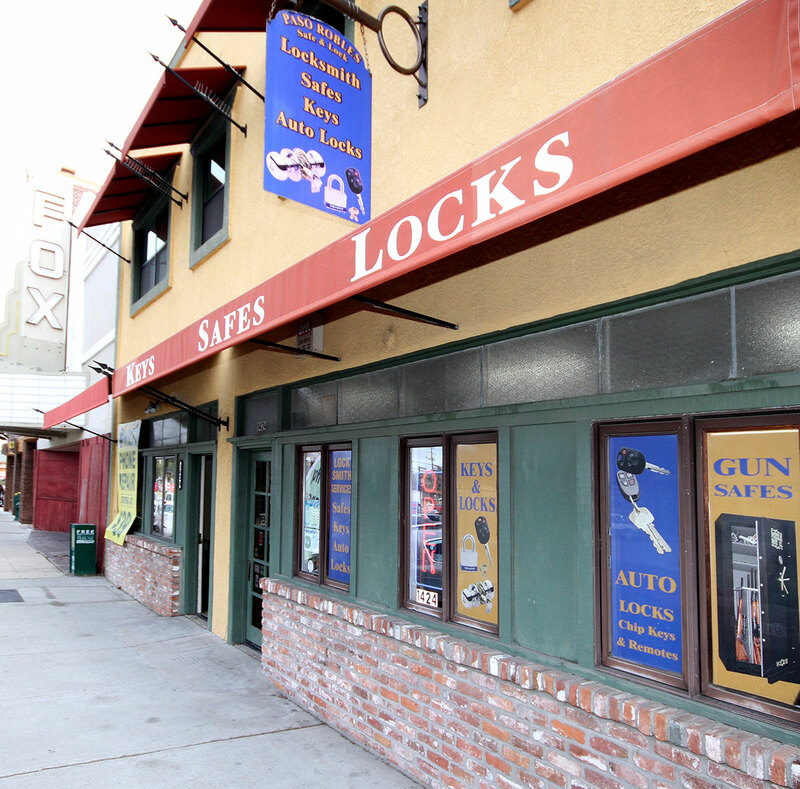 Welcome to Paso Robles Safe & Lock! Thank you for choosing us as your locksmith professionals. 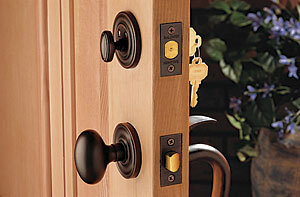 Paso Robles Safe & Lock is a fully licensed and bonded locksmith company. Call us for your residential or commercial Locksmith and Safe needs at Ph: (805) 238-7115. You can always drop by our Paso Robles location at 1424 Spring Street, Paso Robles, CA 93446. We are open Monday thru Friday 8:30am – 5pm and Saturday 9am-1pm, Closed Sundays! We also specialize in all locksmith services for San Luis Obispo, Grover Beach, Arroyo Grande, Atascadero and Templeton. 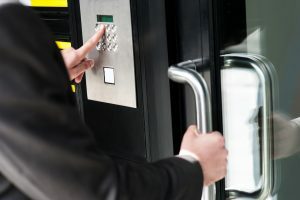 We offer professional locksmith services such as re-keying, new locks, keys, key-less entry and transponder replacement as well as safes, gun safes, security systems for home and office and new door locks, security door locks and so much more! 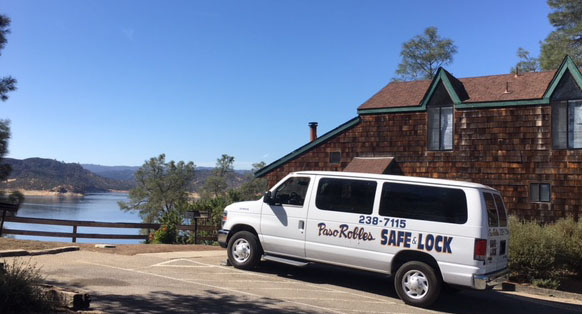 Paso Robles Safe and Lock is registered with the State Of California as a licensed locksmith company and in addition our employees are registered with the state and have individual locksmith licenses. What this means is that you have an individual working for you that has had an extensive background check. 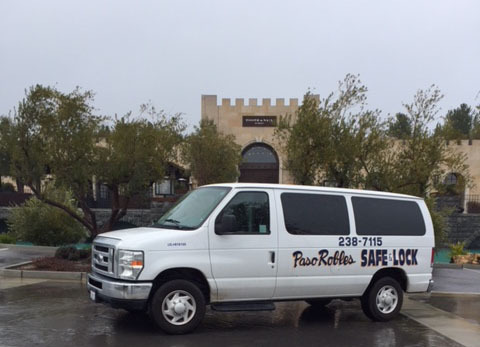 Paso Robles Safe and Lock also holds a California State Contractors license. 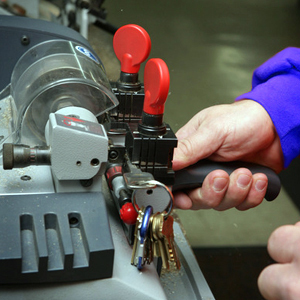 Our locksmiths attend yearly industry approved educational certification classes to keep us brushed up as well as up to date on the latest advances in our industry. Paso Robles Safe and Lock provides quality care and service to our customers. 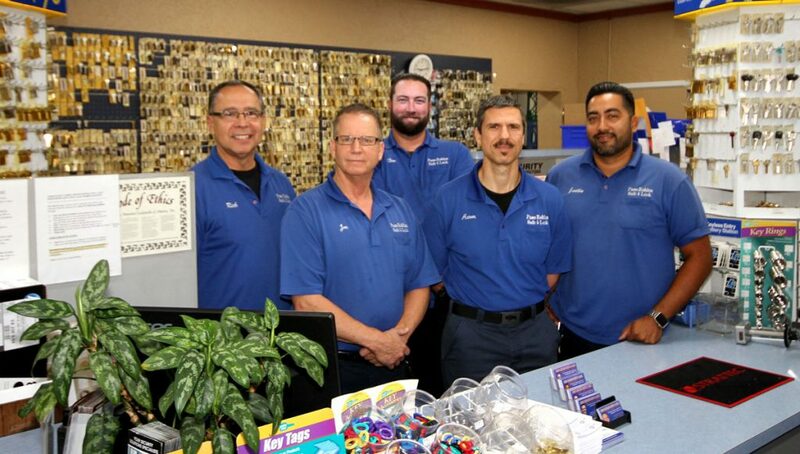 We are your North County Locksmith professionals serving San Luis Obispo, Santa Margarita, Atascadero, Templeton, Paso Robles and San Miguel since 1979. We offer full mobile service too! We live and work in our community and take our responsibility for your security very seriously! 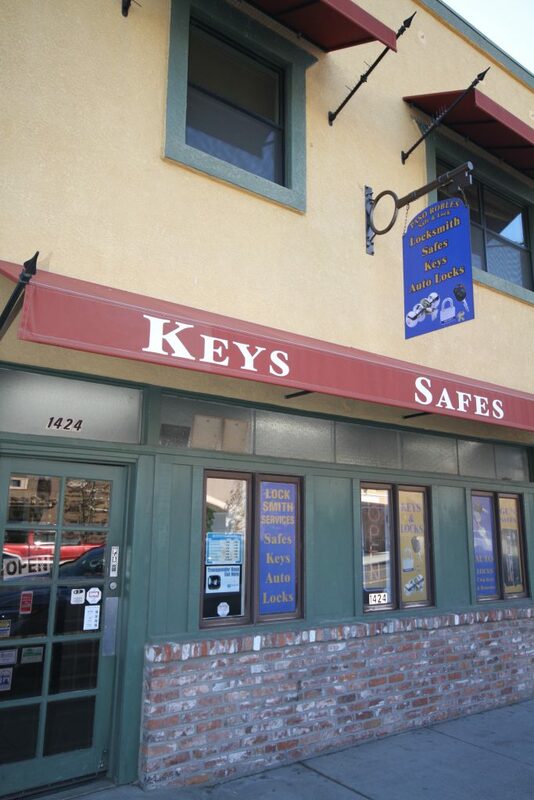 Call us today at (805) 238-7115 or visit us at our downtown Paso Robles location at 1424 Spring Street. We are also available as mobile service providers and can come to your home or business for estimates, security reviews and to work! 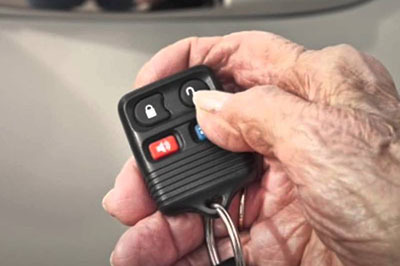 We offer Automotive Lock & Key Services for most makes and models: Paso Robles Safe & Lock can provide Transponder and Keyless entry key replacement and programming for your vehicle’s make and model. We are available for vehicle lockout response and can help you re-key car ignition and door locks. We make keys by key code or key impression while you wait. 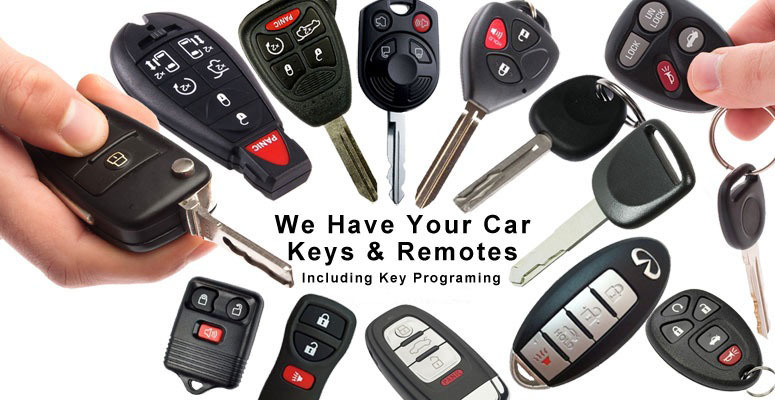 We specialize in Transponder / Keyless entry key replacement and programming for your vehicle’s make and model. Vehicle lockout response. Re-key car ignition and / or door locks. We make keys by key code or key impression while you wait. 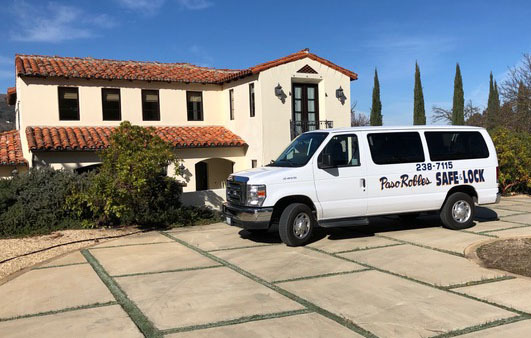 We can service your needs in Paso Robles, Templeton, Atascadero, Cambria, San Luis Obispo and the Five Cities. Paso Robles Safe & Lock also offers professional Residential Lock Installation & Repair. We can help with Residential key replacement, lock installation service for all types of residential door locks. We install Security door locks, Sliding door locks and Electronic entry. Residential Lock Installation & Repair. Residential key replacement, lock installation service for all types of residential door locks. Security door locks. Sliding door locks. Electronic entry. 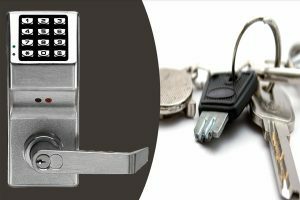 Paso Robles Safe & Lock is also a quality provider of Commercial Lock Services. We have been providing heavy duty industrial lock installation, repair & replacement for over 20 years in San Luis Obispo county. 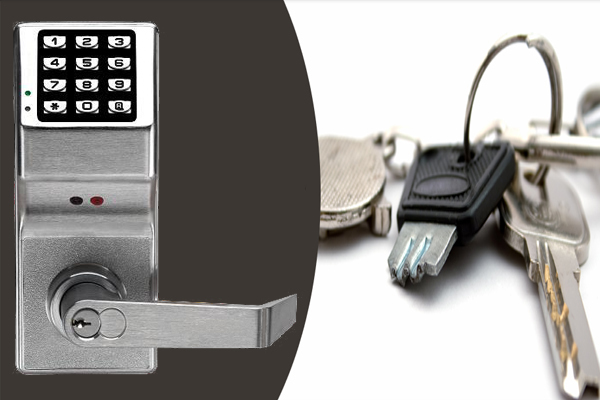 We can handle all your needs including Lever handle locks, Panic devices and Magnetic door locks. We are also GSA certified. Heavy duty industrial lock installation, repair & replacement. We are members of two major trade associations that set the educational and business guidelines for the locksmith industry. Associated Locksmiths Of America also known as ALOA (www.aloa.org) is an international professional organization of highly qualified security professionals engaged in consulting, sales, installation and maintenance of locks, keys, safes, premises security, access controls, alarms, and other security related endeavors. Safe & Vault Technicians Association also known as SAVTA (www.savta.org) SAVTA is the Safe & Vault Technicians Association – America’s leading trade association devoted entirely to serving professional safe and vault technicians worldwide. © 2019 PASO ROBLES SAFE AND LOCK All rights reserved. Ph: (805) 238-7115 | Fax: (805) 238-5943 | prsl@sbcglobal.net | 1424 Spring Street, Paso Robles, CA 93446.